I am so pleased that my first (proper) fashion post seems to have gone down very well – You can check it out here if you haven’t already. As we all know the weather has been getting slightly warmer lately – hooray! I always prefer to get my swimwear sorted as early as possible as leaving it too late means you’re left with the leftovers in the shops. So, in today’s post I’ll be sharing my top picks for swimwear – enjoy! 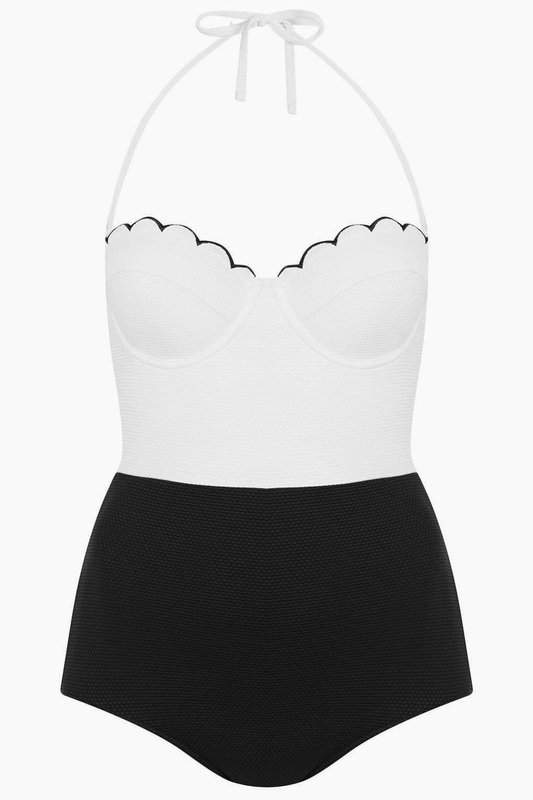 I have been absolutely loving the scallop trend lately and I think this swimsuit looks absolutely gorgeous and nails the trend. I love the fact that swimsuits have been making a bit of a comeback lately as they look so flattering on pretty much anyone! For those of you who would prefer to wear a bikini, this gorgeous number from New Look is one of my faves! 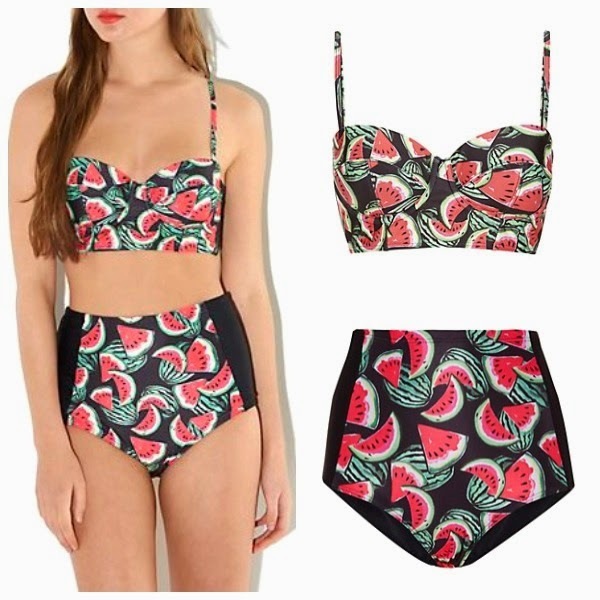 The bold watermelon print along with the longline bikini top and high waisted bikini bottoms guarentees that you will look bang on trend on the beach! The bikini’s shape is super flattering and the pattern would complement both a tan as well as more fair skin tones! This bikini from New look offers a cool twist on the classic bandeau bikini. It’s available in purple, lilac and pink so you’re sure to find a colour which suits you perfectly! If you’re looking for something a little bit quirky, check out this cute flamingo print bikini from Boohoo.com! I absolutely love love love the print on this, and the bow detailing at the back of the bikini top as well as at the sides of the bikini bottoms just makes this bikini absolutely perfect! Which style will you be sporting at the beach this summer? Today’s post is a bit of a different one to usual. I’ve recently been doing quite a bit of online shopping [hauls coming soon!] and realised that I’ve been so attracted to printed jeans, trousers and leggings lately – something that I would normally avoid due to my pear-ish shape! However, they are perfect for spring and summer and I’ve grown to love them. 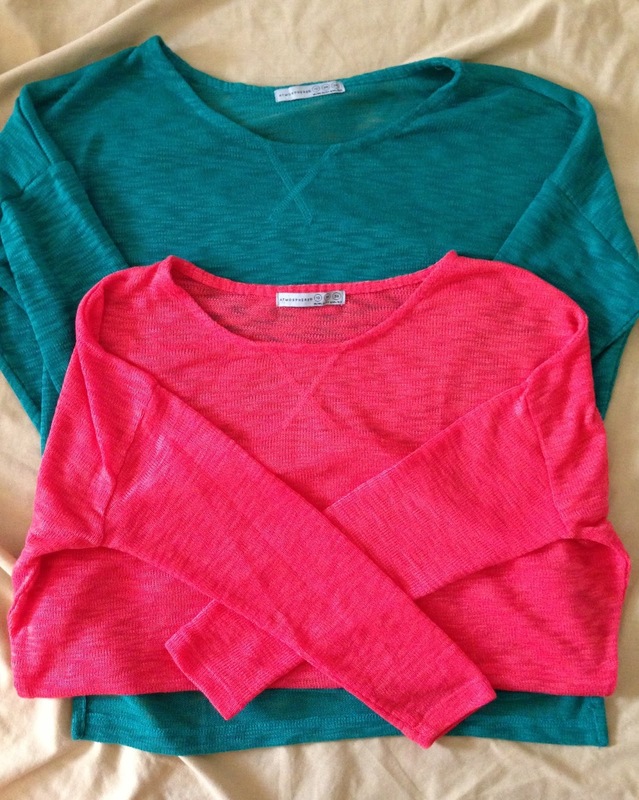 Here are my top picks for printed bottom-halves that I have come across whilst browsing the net. Enjoy! 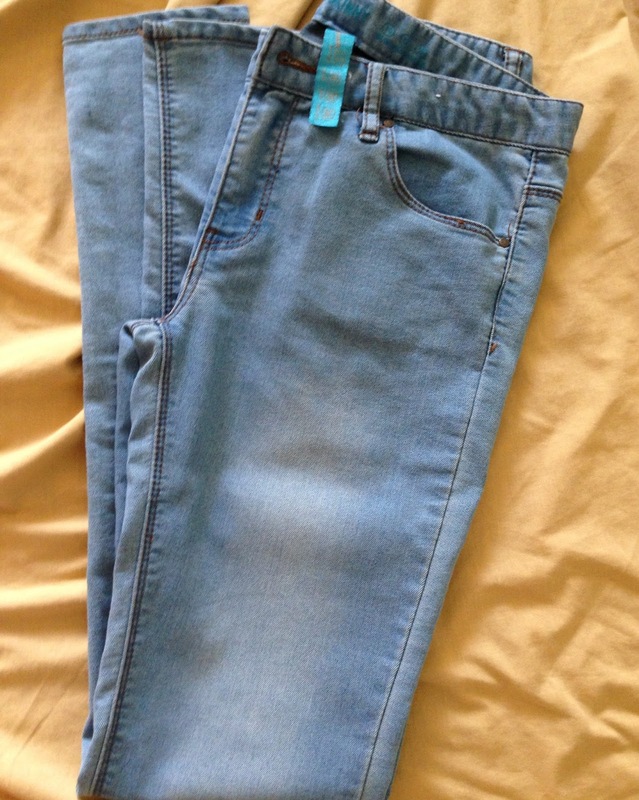 That’s right, those Topshop jeans that have been doing the rounds all over blogging/vlogging world! Two of my favourite vloggers, Zoella and ViviannaDoesMakeUp have both been spotted in these jeans, and for good reason too! 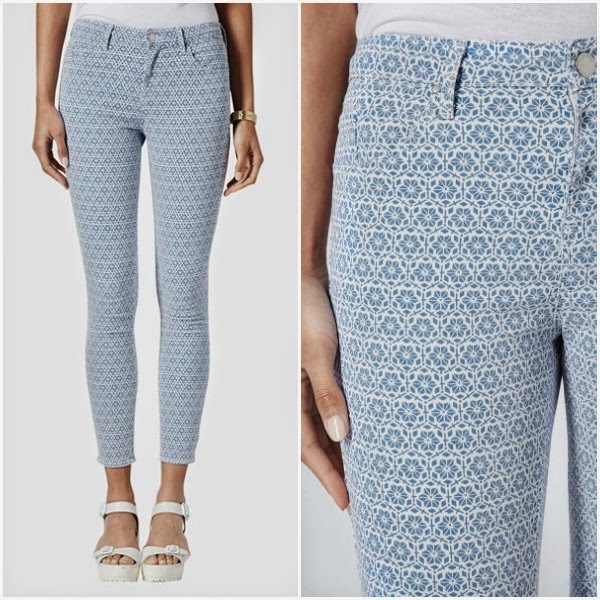 These ankle grazer jeans are so versatile, and perfect for spring and summer days. Team them with a white blouse and sandals for a fresh daytime look, or with heels for a more sophisticated summer evening. I’ve already ordered my pair and cannot wait to wear them! 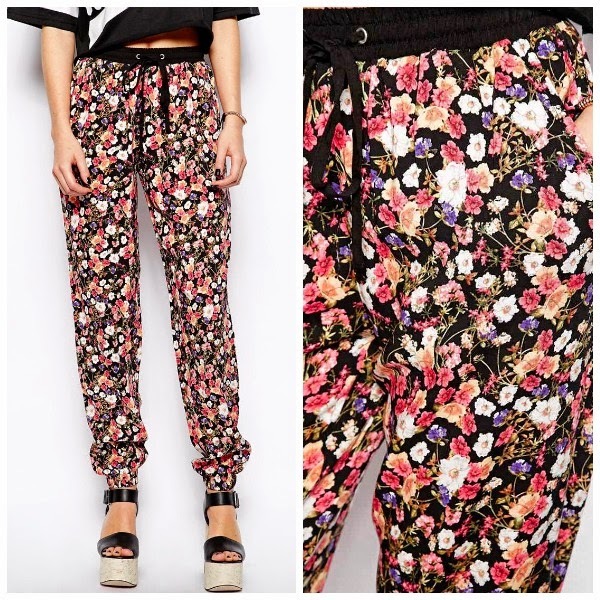 Floral trousers such as these are a must-have this season. This gorgeous floral pair teamed with a black vest is ideal for the daytime, paired with gladiator sandals, or for an evening out teamed with skyscraper black platforms or wedges. The thin fabric makes this pair from New Look ideal for hot summer nights on holiday, too. That’ll be going straight into my basket then! Printed trousers aren’t only suitable for casual days or nights out, as theis pairs shows, they can also be office-appropriate. Teaming this lovely pair from ZARA with a white blouse or crisp white shirt and black heels would be great for the office as it is both fashionable & smart. Office clothes don’t have to be boring! Add some print to your office outfit to instantly up the trend! 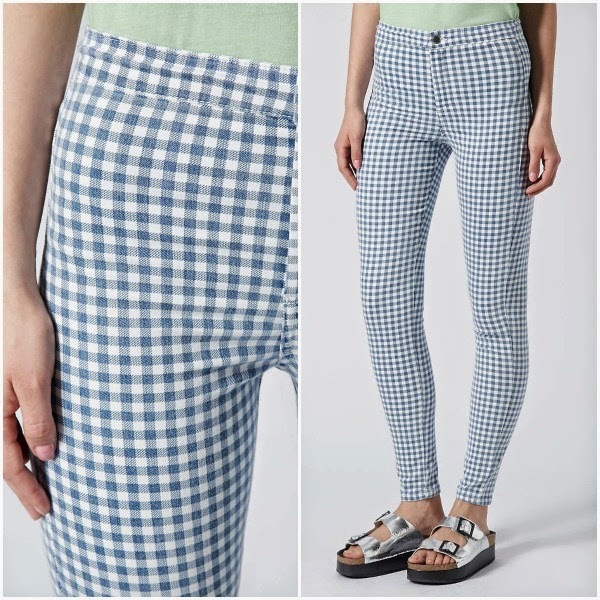 Good old ASOS offer another office-friendly pair of printed trousers, which won’t break the bank – SCORE! 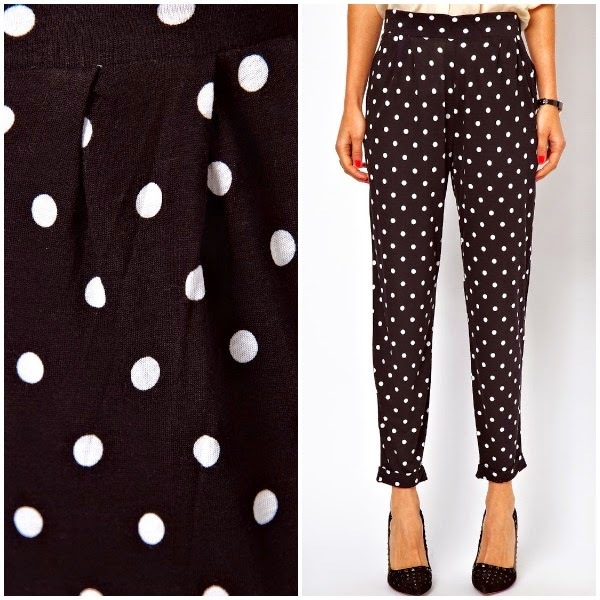 At £18, this spotted pair of tapered peg trousers is ideal for the office, and for an evening out with friends. Just pair it with some gorgeous heels and you’re good to go! I hope you enjoyed my first (proper) fashion post! Let me know what you think of printed trousers in the comments below. Which ones are your favourite? I absolutely love shopping in Primark at this time of year as they’ve got so much cosy stuff in! Here is some of the stuff I picked up on my recent haul. Lately I’ve been on a few trips to Primark and I was very pleased to see that, unlike the previous months, they had lots (and lots) of stuff which I loved! At £10, these were a bit pricey for Primark, however they do feel like good quality silky fabric, they’ve got really cute zip pockets at the sides and a cute drawstring at the front. They also come up rather high-waisted, which I like. 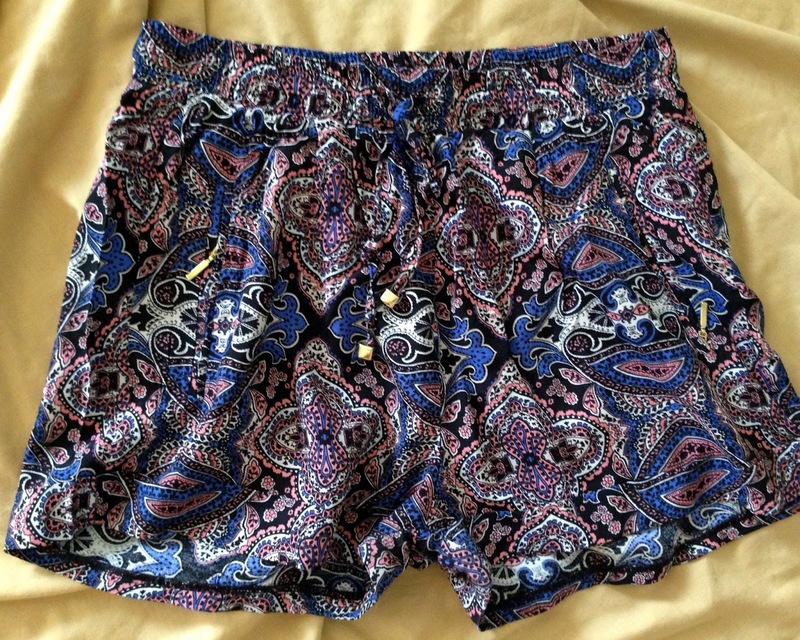 These are the same fit and price as the previous shorts, but I am a firm believer of if-they-fit-nicely-get-them-in-lots-of-different-patterns, and I couldn’t resist this cute pink, blue, white and black paisley pattern. 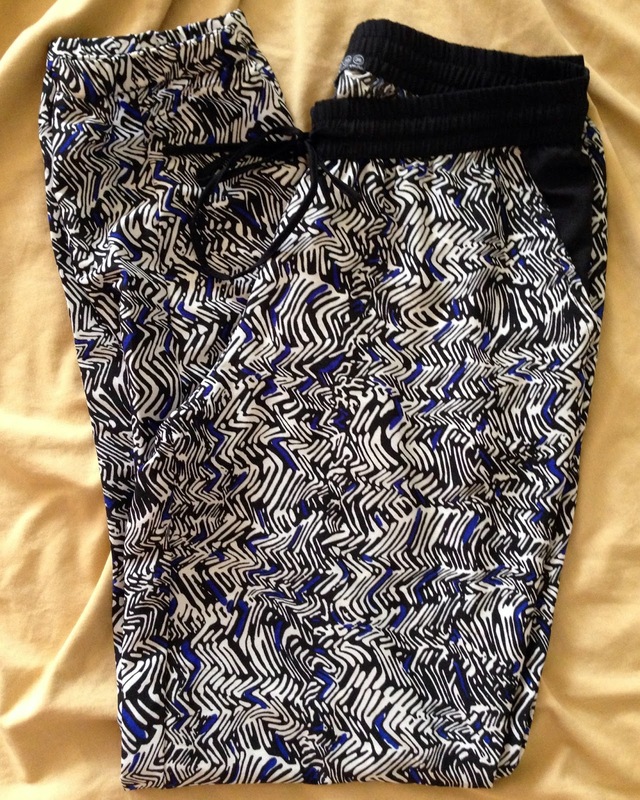 Sticking to the printed-pattern theme, I loved these trousers. They are perfect for warm summer days as the material is so thin and light too. FIVE POUNDS! 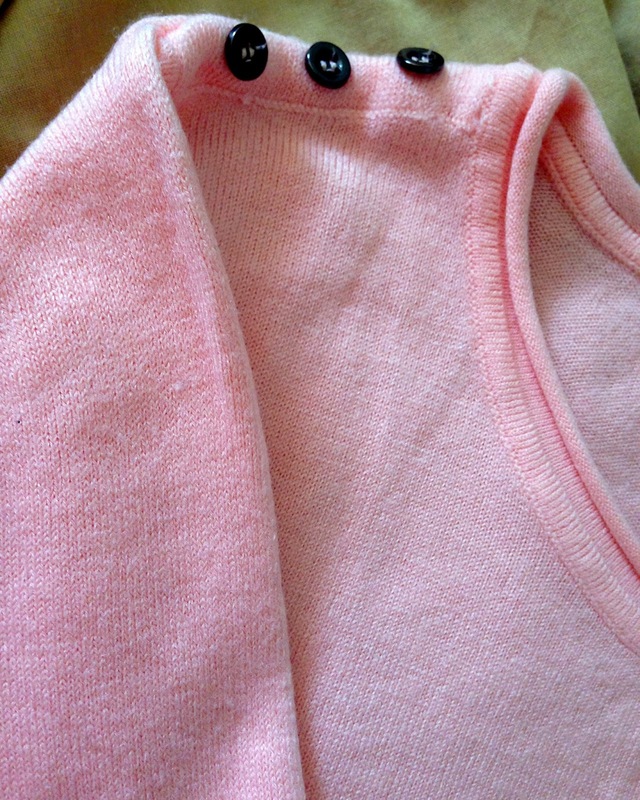 These jumpers are so, so soft and look great on their own, or over a shirt with a pretty collar. 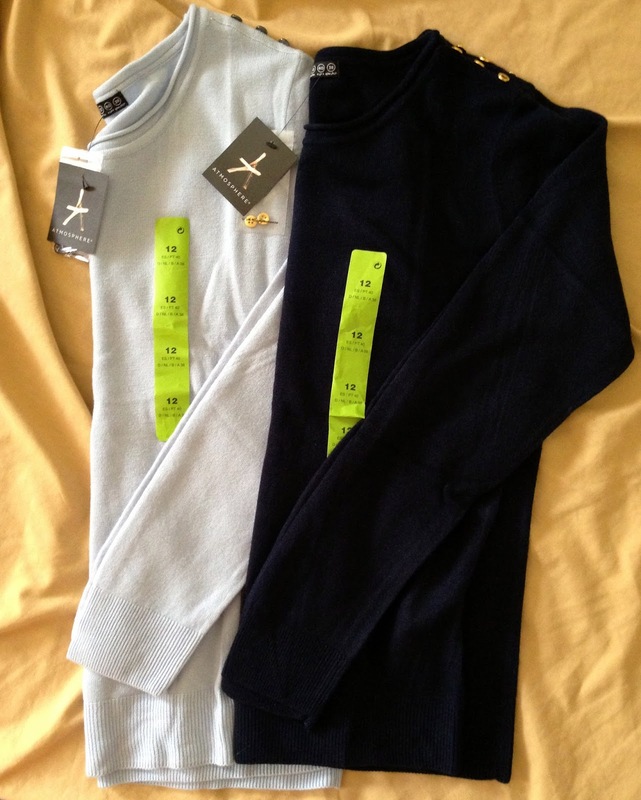 They had these in lots of different colours too – Here I got the light pink, light blue and navy colours. 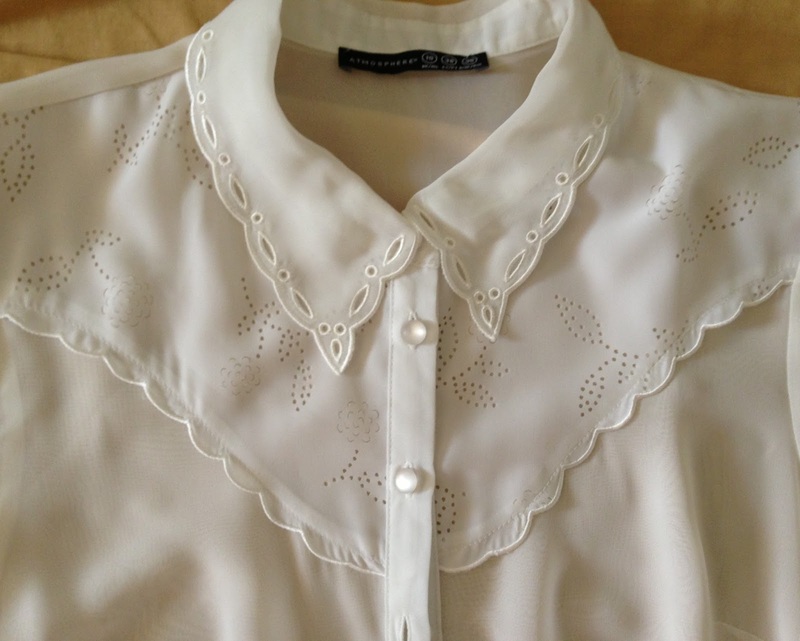 I am a huge fan of shirts with pretty collars, and so I couldn’t not buy this! I think it would look great underneath the jumpers, above. Again, £12 is rather pricey for Primark in my opinion, eek! I thought this shirt was so, so gorgeous! 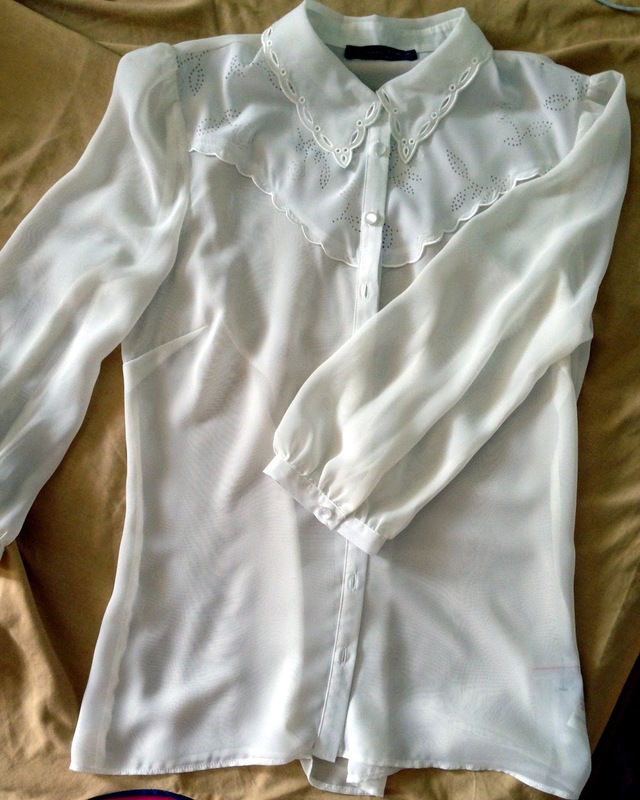 It’s got puffy-ish mid-length sleeves and such a lovely collar. 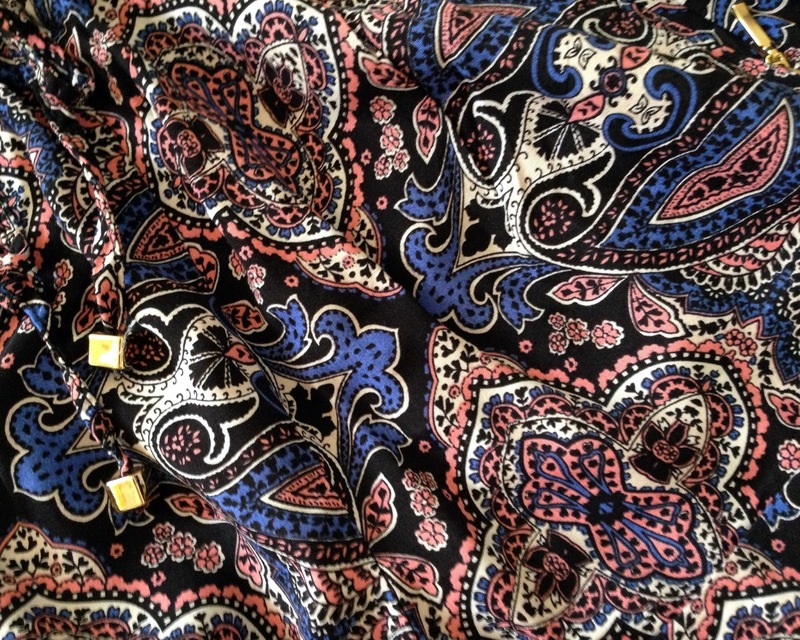 This would look lovely on it’s own and also underneath a jumper in chilly weather! I’m sure lots of you have already seen these vest tops as Primark have got them in lots of different colours! 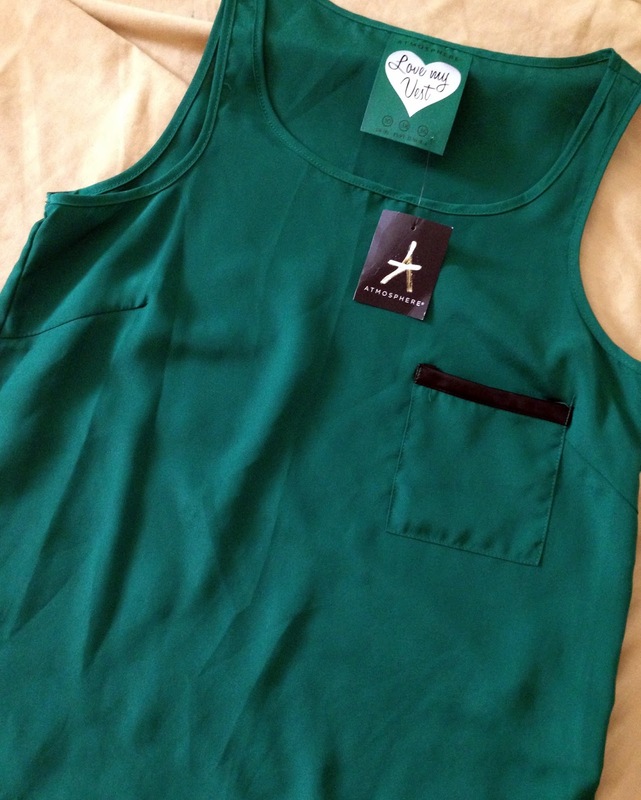 I thought this was a really lovely colour, and also loved the leather detailing on the pocket. 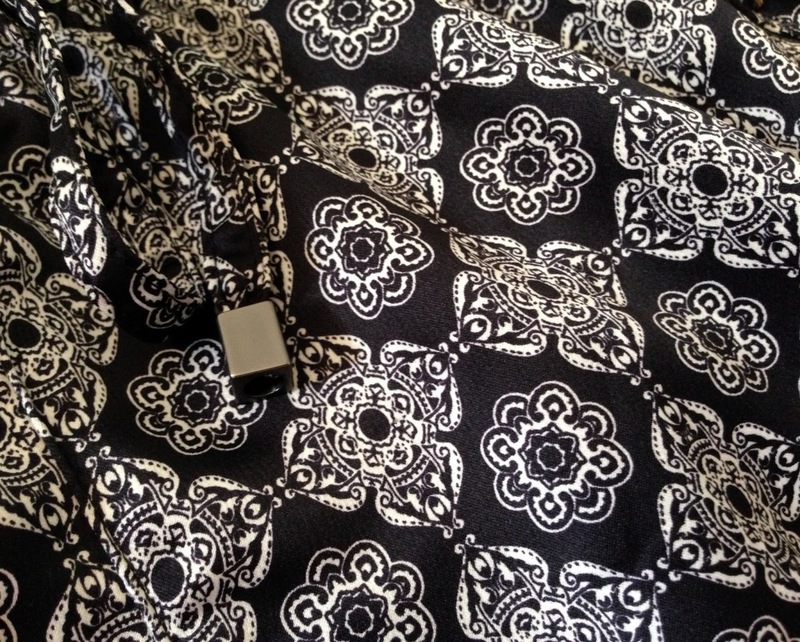 The fabric is *so* light too, making it perfect for warm days. 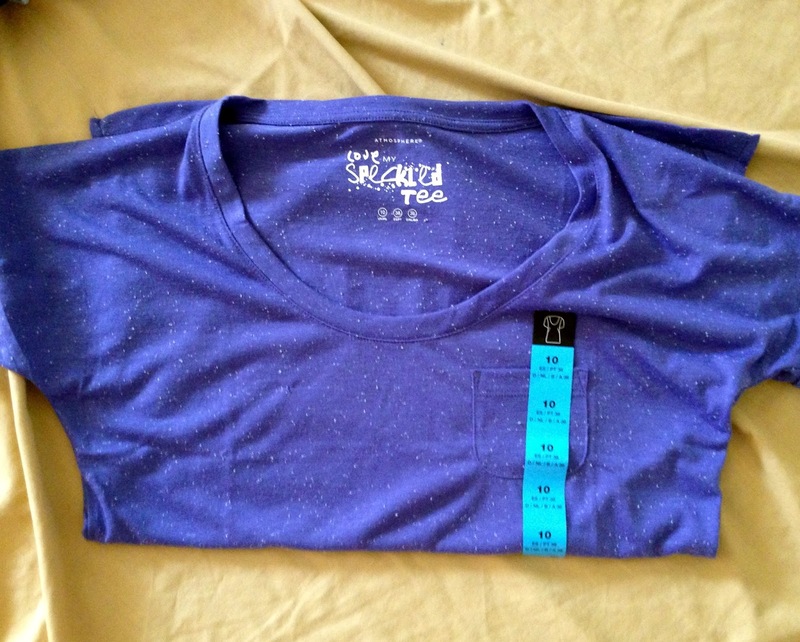 A bargain at £4, I’ve had my eye on these speckled tee’s at Primark for ages but they never seemed to have my size. Never, until now that is! Happy days. Primark had lots of these in different colours. As with all loose-fit type tops, I wasn’t sure whether this would look really good or really funny on me. However, I was so happy to find the fit looked great, and after buying the green one went back to purchase the coral/red one. I hope you enjoyed my haul. Will you be purchasing any of this from Primark on your next trip?